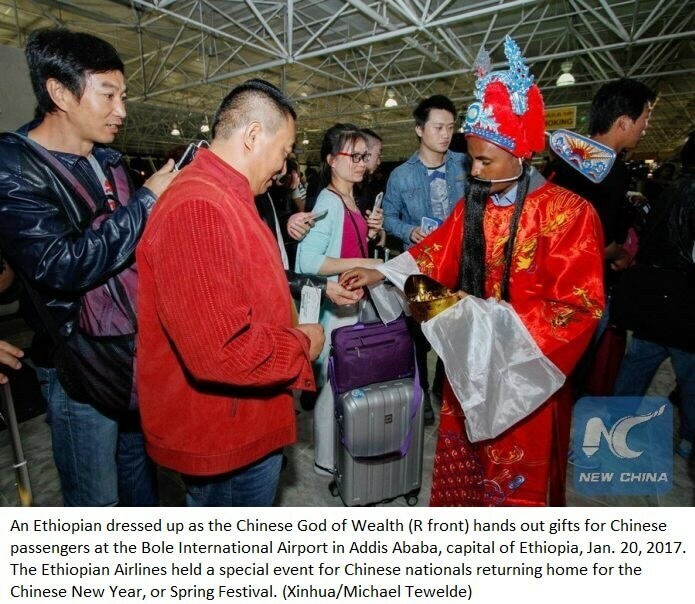 ADDIS ABABA, Feb. 19 (Xinhua) — The airport of the Ethiopian capital Addis Ababa is training Chinese-speaking staff upon arrivals of more Chinese travellers. The Addis Ababa Bole International Airport said it had seen 70 Ethiopian customer service professionals on Thursday graduate from a Chinese language training program aimed at providing better service to Chinese passengers. The language training program was organized by the Chinese Embassy in Addis Ababa in partnership with Confucius Institute.